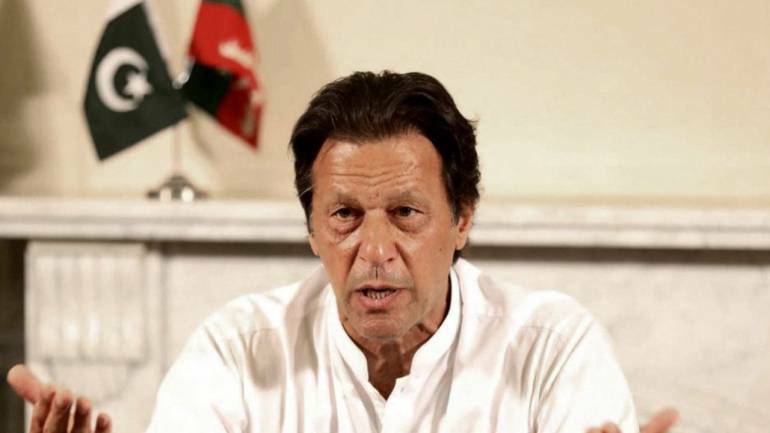 Prime Minister Imran Khan said that ISI is Pakistan's first line of defensce and government and people of Pakistan firmly stood behind the armed forces. RAWALPINDI: Prime Minister Imran Khan on Wednesday visited the headquarters of Inter-Services Intelligence (ISI). PM Khan also offered prayers at ‘Yadgare Shauda,’ the ISPR added. “ISI is our first line of defence and stands out as the best intelligence agency of the world,” said the primer. He said that government and people of Pakistan greatly acknowledged the unprecedented achievements of the armed forces and firmly stood behind the army and intelligence agencies. Information Minister Fawad Chaudhry said that prime minister also chaired a meeting at ISI headquarter, where COAS and ISI general comprehensively briefed the primer on the security related issues.